TP-LINK Archer T2UH comes with the next generation Wi-Fi standard - 802.11ac, 3 times faster than wireless N speeds. 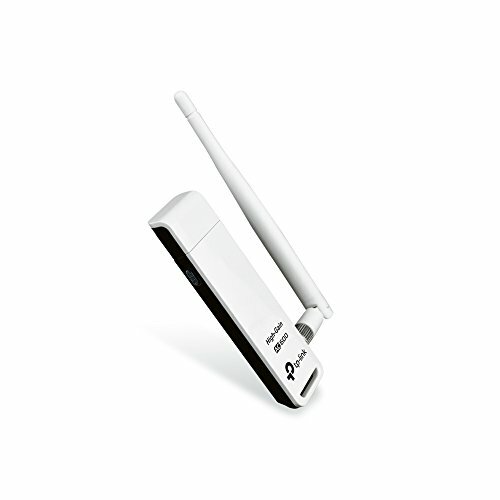 Do More Convenience with your WiFi USB Adapter: With Archer T2UH AC600 wireless AC adapter, you can shift between 2.4GHz and 5GHz WiFi bands to avoid interference and have optimal WiFi Internet connection for your PC,laptop or Mac.You can use the more clear 5GHz WiFi band for on-line streaming of HD video, gaming, music, photo; and use 2.4GHz band for web surfing, online chatting. Detachable Adjustable Dual Band 2dbi Antenna: Adjustable & detachable omni-directional antenna provides high performance and increased coverage for your wireless network.TP-Link AC600 dual band (2.4G/150Mbps+5G/433Mbps) wireless adapter with High Gain Long-Range 2dBi Antenna brings you a tiny way to get speedy next generation Wi-Fi connections, by connecting it to the USB 2.0 interface of your PC, laptop or Mac, you can establish 433Mbps connection at 5GHz radio or 150Mbps connection at 2.4GHz radio with your WiFi router.